The political status of the country is monarchy, the current head of the state being Queen Elizabeth II. The infrastructure and transportation of the country is very good and modern, 70% of the roads being paved and being in good shape. The largest and main port is Kingstown, where cruise ships can be taken to the other main island as well to Barbados and Saint Lucia. Ships are frequent between ports. The international airport of the country is E.T Joshua international(situated 3 km from Kingstown). A former British colony and a current member of the Commonwealth of Nations, the traffic is on the left side. Bus and taxis are available on all parts of the island, all of them having fixed rates. Despite having a high quality of life, the economy itself is relatively undeveloped. Nevertheless, it has a decent and mostly stable economy although it has issues such as high dependency of agriculture(especially banana). They country mainly exports crop, bananas and sugar to Europe and the United States. The GDP decreased between 2009 and 2010, but they have managed two increase back its economy by encouraging tourism and manufacturing. 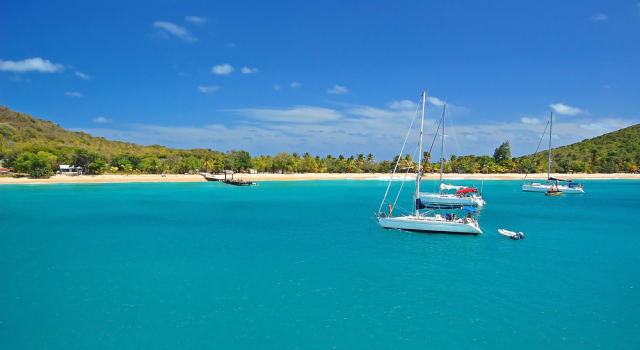 The country is separated in different parts, the island of St Vincent and the islands of Grenadines. The island of St Vincent is of volcanic origin and many of its beaches are of black volcanic sand but golden sand beaches also can be found. 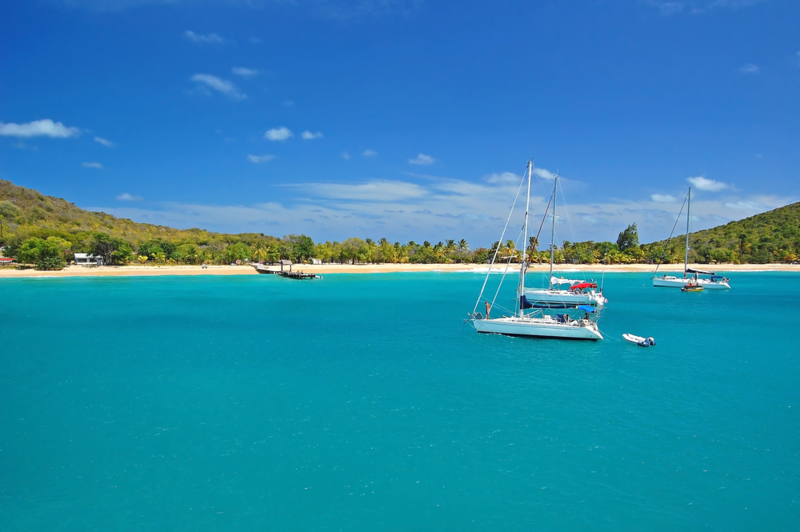 The Grenadines have the reputation for having the finest beaches with crystal clear water and white sands. The topography itself is very rich and diverse, each of the island possess its own distinguished landscape. Like the topography, the flora is also very rich and vast. 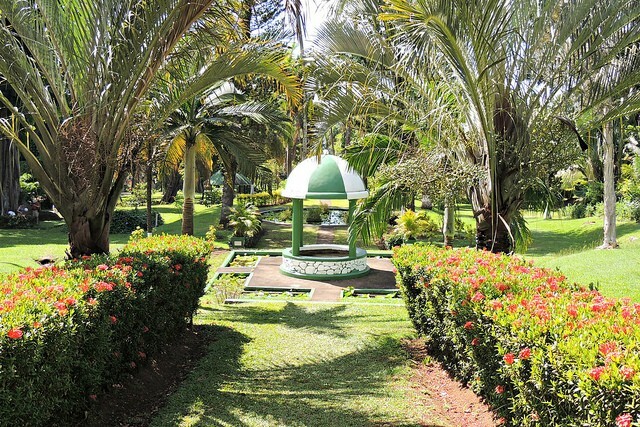 Tropical forests cover many islands, especially coconut palm trees and other types of tropical trees like the mangoosten fruit trees and others. 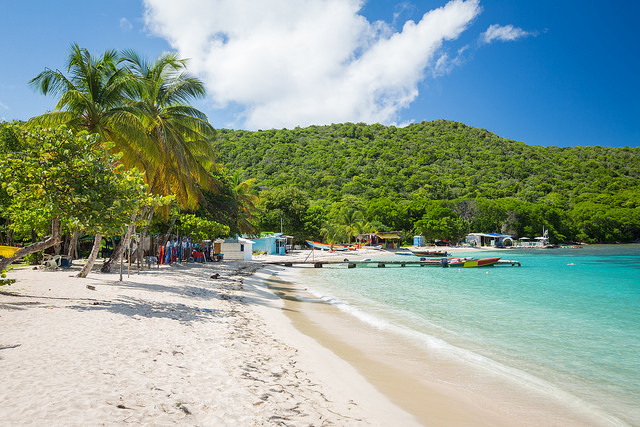 more than 70% of St Vincent and The Grenadines are covered with forests. 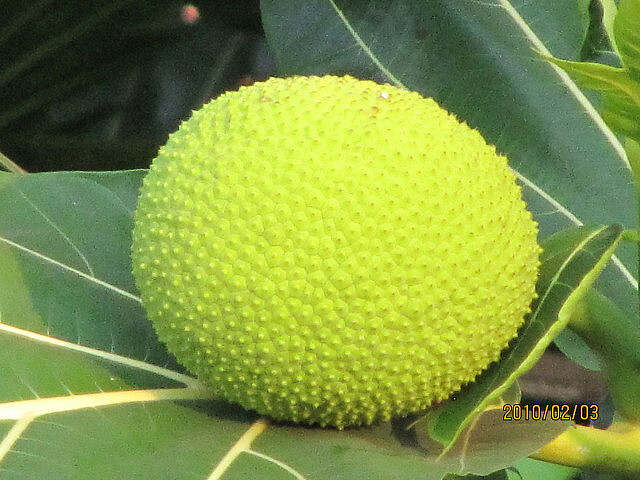 Breadfruit tree is an exemplary tree of the island, being very widespread all around the country, the island having the nickname “Breadfruit Isle”. The fauna consist of St Vincent parrots and the unique whistling warbler. Freedom of Religion is granted and respected in the country but most people practice Christianity. The infant mortality is one of the highest on the Caribbean hemisphere, despite having a modern and developed health care system. It has 21 deaths per 1.000 live births. The hospitals and clinics are widespread throughout the country. The immigration and customs are safe yet strict. Visas are required for most foreign visitors. Prohibited imports are animals, plants and seeds unless they have licensed before entering the country. Like on the other parts of the Caribbean, the islands of St Vincent and The Grenadines were also inhabited by the Arawak’s, who later on were driven out by the Caribs. The Caribs also caused trouble for the European colonization. The island was first sighted in 1498 by Christopher Columbus. Despite the islands discovery, there was no European immigration on the island until the middle 17th century. During the 17th century, the English initially claimed the island, although there were no settlers with them. Also at the same time, there was a large dispute between the British, French and Spanish. All these great powers were almost no match for the Caribs. However, despite the opposition of the empires, they surprisingly did not opposed the settlement of enslaved Africans. This resulted assimilation and intermarriage between the two groups. Later on, in 1773, they were allowed to live freely on the northern part of the island. Initially the French gained the island in 1779, but shortly after it was restored by Britain in 1783. This resulted a rebellion by the Caribs against the British, who were supported by the French. This was easily crushed by the British, and most of the rebels were deported to the Bay of Honduras. Although the British brought plantations such as sugar, coffee, cotton and cocoa on the island and initially gained a lot of prosperity, but the eruption of the La Soufriere in 1812 cause much devastation on the island. Slavery was abolished in 1834. 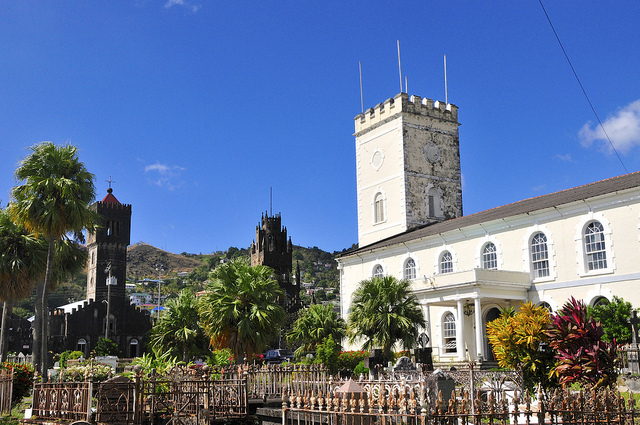 During the 19th and early 20th century, the country faced more natural disasters such as hurricanes, further damaging both the society and the economy of St Vincent and The Grenadines.